Hello readers of AJW’s taproom, get ready for a bit of variety this morning. Today I, Logan Jones-Wilkins, son of Andy or ‘AJW,’ am taking over the wheel to say something I feel has been ignored. As the son of AJW, I’ve been around the sport through its modern development. Now that I’ve come of age, I have come to this simple rationale. This wonderful, simple, crazy sport that we all love, because of its simple, wonderful craziness, is at a crossroads. The whole concept of the sport is to run insane sums of miles that blow normal people’s minds. That’s pretty dam [sic] simple. The thing is, the future does not seem to have as much simple craziness to make ultrarunning what it is. With ‘professional runners’ and multimillion-dollar companies in the sport, it’s a whole different situation. The truth is, right now, there are problems developing. The problem I see, as a kid who is an endurance athlete and a child of the sport, is too many people trying to direct the sport. With every year bringing new championships/series/events to the sport, it has developed a tangle of leadership that is more tangled than my fishing line at Penny Lake in Idaho. Big-money sponsors are now influencing the sport and creating events out of nothing. They are saying that they are part of the top races in the world and attracting these professionals who are spending their lives traveling literally around the world on small paychecks searching for prize money and results to keep sponsorships. World ultrarunning has exploded in recent years and has completely outgrown its previous model of sponsors giving runners free products and paid entry into races. That was it. Now these people are pros. That shouldn’t be a problem, but it is because the sponsors are running the races. Look at the Tour De France, for example. If cycling was like running, the Tour would be “The Tour de France presented by Cannonade.” To me that doesn’t sound right. So then why should “The Western States Endurance Run, presented by Montrail” sound right? To me it doesn’t. Like government, running needs to separate church and state. Competitors and competitions should not both be under the same boss for the same reason why the President should not be on the Supreme Court. Don’t get me wrong, the sport needs sponsors for races. It is what keeps the races working. What would help this problem would be if the races would get their money from sources outside of the running community. Bring in fresh money, new faces, and new ideas of sponsorship. What if Western States was sponsored by Ford and the winner got a new car? What if Leadville was sponsored by Google and they brought their technology in to broadcast the sport outside of the running world? For me, there are endless possibilities. There is a reason why golf tournaments are not sponsored by golf entities. If John Deere sponsors an event, it brings John Deere’s money into the event and into the golf world. It’s a way to broaden the sport’s economics and creates much more room for growth and expansion than the current economic environment. Running companies and their limited resources ruling over the entire sport and limiting economic growth of the sport just doesn’t make sense. What all this means is that becoming a professional is very easy to do but very hard to maintain. With the limited economic depth of the current sponsors, the companies will pick up lots of talented runners that get results. They will also cut lots of talented runners who aren’t getting results because there’s not a lot of money to work with. Companies need their brand to be promoted as much as possible to as many people as possible in this relatively small demographic. With races being sponsored by outside entities and money from outside the small economic environment, it will grow the overall pool of wealth in ultrarunning, creating more money for sponsors to spend on athletes to make ultrarunning into a true professional sport. That means it becomes a sport where people can actually be professionals with real contracts and real paychecks. One thing the sport has to do, whether we like it or not, is to separate pros from non-pros. Racing for money and racing for the joy of running have to become separate. These blurred lines of professionalism have made races incredibly stressful for everybody and lessened the authenticity of the sport for the other runners taking on the challenge for the challenge. If we separated the starting times between the professionals (who have gained that status by a point system that I will explain later) and the rest of the field who would have elite runners and would still have a race. Not every race would have a pro field, only races with a designated status from the governing body. That leads to my next talking point: the three classifications of races. This would all be handled by the governing body with the rules and or committees they put in place. They could establish the classification of events based on the level of runners participating. One would be the pro races filled with pro athletes (Pro). One would be other races that meet a set of standards (AB). The third would be races which do not meet standards (US). The pool of races that meet the standards would be decided by a set of baseline requirements (follows all of the governing body’s rules, has a history of good-finishing rates, and has some distance between it and other events that fulfill requirements) that would be generic and would make it possible for new races to become a part of it. Then, from this pool of races, the top Pro races would be chosen by a committee of either randomly selected race directors, or a committee from the governing body. Races with a designated pro field would have one of three designations: Pro1, Pro2, Pro3*. Pro1 would be an event 50 miles or below with a pro division; there would be 10 of these. Pro2 would be an event over 50 miles; there would be 10 of these. Pro1 and Pro2 races would be scored the same. Pro3 would be 100-mile events. With only four of these events, they would be the premier events in running. They would have the most points and prize money. Only the top-ranked runners would qualify for this along with the top amateurs. One of these would be the championship of the series. This would create a distinct professional series and a distinct championship. Something the sport has been wanting to have for a long time. The thing that would make the pro races special would be that they would have an exclusive pro field. Only runners with the classification of professional could run in these races. This is modeled after the PGA Tour. You would start out with a qualifying year were there would be no pro events and all events were open to the public. After the year the people with the most points would be included into the professional field for the next year. They would then race throughout the year collecting points in pro races, trying to insure their status for the next year. Their top-five results would count toward their score and rank. The bottom 50% of the field at the end of the year would lose their professional status and would have to try and regain it with a month of qualifying for the status of professional along with the top runners from the amateur level. The amateur level, which would make up of the rest of the races, would be ranked A1, A2, A3, B1, B2, and B3. A races would be 50 miles or less. B races would be more than 50 miles. The bigger the number, the more people and more points. All of these races would be amateur fields. The runners would be ranked by their results in their best five races. At the end of the year, the top-ranked runners would qualify for the pro level. There would also be an A and a B championship with the winner automatically getting into the pro field. After a December free of racing, January would be the qualifying month. It would be two sets of races, one 50 miler, one 100 miler, of races all over the world to determine the runners who qualified for the pro level. Then in February, the racing calendar would begin. Winners of Pro events are exempt from qualifying and winners from Pro3 events would get a two-year exemption from qualifying. This would be a great way to have structure to the running calendar and a true off season that is needed. With a governing body, the sponsors would have less control yet still have influence and it would be profitable. Each pro race would have one title sponsor that would pay a small fee to the governing body for being a title sponsor. This along with licenses would be how the governing body would get money. AB race sponsors would pay a smaller fee. The governing body could also have restrictions on how many runner companies can sponsor and a minimum salary for pro runners. This idea is not necessarily something that has to happen at the beginning, but it would be great if something like this could be put in place later on. All of these things would help limit the power of the sponsors which is something ultrarunning needs, in my opinion. It would also help it be possible for people to be true professionals. Running also needs written rules. Everything is done on a race level. This means every race is different. What a governing body could do is make a standard maximum distance between aid stations, or to prohibit muling and littering with actual consequences. If the sport got to a point where doping might become an issue, the only way to insure the cleanliness of the sport would be to have a governing body overseeing anti-doping procedures. A governing body would also be necessary if the sport wanted to become an Olympic sport. With the combination of the separation of running companies and races and the implementation of a governing body, ultrarunning could reach an entire new level of economics and popularity. All of the ideas I’ve put forth are just examples of changes to the current system. These are not the only way to change, they are just possibilities. Whether the sport uses this idea or something like this does not matter. All that I’m asking, as someone who has been around the sport longer than most, and as a kid who hopes to someday compete in ultras, is to have some change to the current system. The truth is, the sport is not what it once was and is going down a path that is filled with problems that are dangerous to the sport. The truth hurts, but it’s the truth. However, we can change this. So let’s change it. Since I am only 14, I don’t drink beer. In fact, I am kind of different than most kids as the only things I drink are milk and water. So, this week’s Drink of the Week is water. With 0% ABV and no IBUs, it’s just about perfect for me. Okay, phew. That was intense, wasn’t it? First things first, LJW has introduced topics that are near and dear to our hearts. In order for us to have a conversation, however, each of us must respond constructively. Also, please remember that LJW is a teenager, so be nice to him. We can agree and disagree with LJW and each other in the conversation here, but we must be civil. Thank you. LJW tells us that, looking at the sport from a figuratively global perspective, we need to change in order to create a sustainable and functional future. On that figuratively global level, do you agree or disagree? Would you like to see our sport continue on the quirky, oddball path that has largely defined us so far? Or would you like to see some sort of organization and government applied to us? LJW has outlined a detailed codification procedure for organizing our sport into professional and amateur categories. Without delving into his details, what do you generally think about such a codification idea? What effects would it have on races and our community? Do you agree or disagree with LJW’s hypothesis that our sport’s current dominant sponsors possess an imbalance of power? Do you agree or disagree with LJW’s argument that trail and ultrarunning needs a governing body? What are the bases for your thought? Very well written and excellent article, young man. You've got a talent for the pen already! I've got 2 thoughts on your comments: First, "outside of running industry" money, works and works well. A great model that is already in place in the Mt Washington Road Race… Sponsored by Delta Dental. This is a race that offers no UTMB points, no Sky Running points, it's not even part of a series yet draws some of the top pros in the mt running discipline. You get a great race without it being the "Skechers Mt Washington Road Race", then only the Skechers team shows up, as the Puma Team doesn't want to show support for a race they don't sponsor. (hypothetical teams for the uninformed) But, I have to disagree with separating out the pros from the amateurs.Amateurs would cry foul because one of the best parts is toeing the line WITH all the pros, and Pros who get their cash from their shoe/clothing sponsors would never be able to commit to a strict schedule of races. I've recently come around to having an opinion of "take it as it is" with ultra running. I don't think there needs to be a "Championship." I don't think it proves anything. For example, if the 100 mile Championship is at Hardrocks and is won by Max King, but that same year Krar wins Leadville, Rocky and Western States, well, I don't think King is the "Champion" that year. Maybe Krar didn't even bother running it. A good example of the complications of crowning a champion can be found by looking at college football. a championship is not nessasary for this system. If there is a clear top 3/4 races it could have the same affect as one except they each would have different terrain and produce different results. Also the physical seperation of the start would not be a nesesity I just thought it would be a good idea to use the marathon modle. Great writing and thoughtful analysis, LJW! I like your comparison to the PGA system. I think your category ("Cat") ideas are interesting and similar to cycling. But I'd like to hear your thoughts comparing to the existing system of marathon running. Do you think the current status of professionalism in marathon running works well, or is flawed? What about the lack of a single recognized marathon championship, and the existing sponsorship of large races? Is there enough interest in marathoning (which has several televised events) to have an "elites-only" field, or is it possible that a large part of the interest, awareness, community support, and energy of the events is through the excitement, advertising and revenue generated by enthusiastic amateurs in the races as well? I'd like to hear what you think are the lessons to draw from, or avoid, in marathon running, and how it compares to ultramarathons. More importantly: what are your favourite sports/events right now, and what do you have planned for the future? Best of luck, you're well on your way…and great for you for not drinking soda! I don't know much about marathon running, but I do know they have done a great job of brining out of running economics to the sport and in turn creating outside popularity. Ultra running could take some qualities of marathons but it shouldn't adopt the marathon system because they are entirely different situations. Right now I'm running and biking and playing basketball. Thank you for the good wishes! An excellently-written and thought-out editorial, so thank you! As an amateur distance runner who races both road and offroad at any distance long-enough for me to feel warmed-up, one of the things I love is that amateurs and professionals all go together at the same time. Even though I'm unlikely to catch most of the pros, I like that I have the chance. Compare that to the Olympics, where I just can't enter those races — they are only for the elite athletes. There are many areas of life where an economy does not support large numbers of professionals (try a career as an artist). I don't see anything wrong with running being one of those kinds of economies. I would add that too much growth in trail running is probably a bad thing. I spend some time on almost every trail run I do picking up other people's litter. I imagine that after a trail race with lots of people running, there is damage to the trail in addition to the rubbish. A focus on *managing* growth respectfully would be better than one focused on economic growth alone. Thanks for raising this discussion – really excellent! your take is very interesting and those are issues that would needed to be addressesed. On littering a governing body could really help that issue by putting penalties on littering and actually inforce them. In regards to the growth of the sport, it would defiantly have to be managed yet I do think growth should happen. Finally I think toeing the line with the pros still could happen and you would only separate the reasults and prize money. Good post. I think what makes this sport fun and unique is the ability for average Joe to line up on the same line with Kilian, Tony and co. It is what sets us apart from everything else out there. What other sport would you be able to run and hang out in the same race or event as the "pros" and "elites"? Creating separate races and categories would certainly negate that. That being said, there are few races in Europe that already do that. Yes it would be different and it may not even be nessisary if there is just one field with different categorys only coming into play will the results. The thing that needs to happen is make it so it is clear who is professional and who is not in order to have it be a legit sport with people who are professionals. AJW was correct. It is interesting to read the perspective of a teenager. Obviously a lot of thought went into this editorial, and it is pretty well-balanced and thought out for a young man. I don't have a lot opinions on this, because I am not a pro (too old now), but I believe in the US, the USATF still reigns as the governing body over the sport, or at least holds championship trail races, crowns champions, and helps in a small way to fund the sport. I would certainly like to see a different governing body on a national and world scale (would hate to see IAAF get their hands on trail/mountain racing). Hey y'all I've answered many questions and will get to the rest right after I get done with school/running. "This wonderful, simple, crazy sport that we all love, because of its simple, wonderful craziness." To me the above suggestions removes the simple craziness (which I very much enjoy) but brings order, rankings and governing bodies. Yes it would. The sport might not want this. I'm saying if ultra running want to have "professionals" then the simple craziness will not work. Right now it's starting to lose its simplicity to try and preserve any of this we need to create ways to preserve it. I know many aspects of my plan seems hypocritical, and in so ways it is, but to me it is more like managing a changing sporting environment for the good of the core values of the sport. A very thoughtful and well-written piece, Logan. Keep running, reading, and writing. Agreeing on a number of very valid and ignored points mentioned, when it comes to sponsor involvement there is also a large disparity in who gets what in a sponsorship agreement. Not only is this part of the problem for top level pros and elites trying to make a living from the sport they devote themselves entirely to, outside of a job to support their 'running job' and family time, there is absolutely no industry standard yet established. The only real standards being set forth are derived from each individual company and the employee advocating for sponsorship in this still young, niche area of sport and by the athlete with their success primarily based on their negotiation prowess and business sense/experience. Part of the "problem" here is the unfortunate lack of representation with insight into what the standard across the industry should be and the ability to navigate the continued growth of the sport and how this "standard" should also parallel said growth. A metaphor to better drive my point… When you walk into an interview for a job you're excited about how likely are you to 'sell yourself' appropriately? Unless you're comfortable stroking your own ego, talking in the third person and walking about with your own personal stats book the selling of yourself is typically falling well short of what you truly represent as an asset to the potential employer. This same metaphor applies to that of a sponsorship request or interview. While the "stats book" is easier to produce when it comes to competitive running that isn't all it boils down to. In fact, presenting yourself to a sponsor and doing so well is just the tip of the iceberg. What about social media influence, character, charisma and personality? What about a fantastical story about the life of that person? Let's be realistic here people are more than simply accomplished moments in time and this raises the importance of a company prepared to invest in all aspects of an athlete leading to the need for a savvy marketing person or team along with a budget to properly 'sponsor' an athlete and activate on all things appropriate to garner the value from said sponsorship. The development of a savvy marketing team to properly activate on sponsorships, seizing those time sensitive moments of athlete news in the form of race results and other activities, i.e. race schedule announcements, is an entirely separate discussion point. This is certainly growing as the sport grows, but from my personal insight it has a lot of catching up to do. This is where Presidio Sports Management (www.presidiosportsmgmt.com) comes from. That gray area with next to no one representing athletes in need of someone to properly present their worth to a company and brand. These companies are looking for ROI, exposure and awareness and, even more importantly, that spark of intrigue rippling through the community. A line has been drawn across the trail to work with athletes and brands/companies navigate how to best position themselves in the sport garnering growth in the thousand percentiles. In just two short months athletes from a number of backgrounds of running experience and current successes are seeking representation. The industry is 'tipping' as Malcolm Galdwell would agree and it's truly an exciting time to be in the ultra and trail running community. I have reviewed several contracts from "major" sponsors and you are spot on about the huge variance between contracts and having no standard. I think one of the big misconceptions from followers is exactly what sponsors are providing the elites in terms of sponsorship. In most cases they are providing very little to the athlete, but want way more in return from that athlete. I have yet to see a contract from a "major" sponsor that was worth signing. But I am only seeing contracts that are offered to one elite female runner, so it could be different for other women or the men. It is nice to see races putting out prize money. It helps the elite runners out. However, some followers of the sport seem to think when an elite wins a big check from a race that they must be doing well which couldn't be further from the truth. I know an elite runner that won the two largest prize purses in US ultra running last year and they didn't even break even with their running for the year. It costs a lot to travel to the races, for shoes, equipment, therapy, etc. for an elite to perform at their highest level and in most cases sponsorship and race prize purses are not enough to cover it all. I'm not saying this is a bad thing, it is just how it is. It is a very small niche market and being such sponsors can't justify throwing a lot of money to elites in the form of sponsorship. They can't get their return on their investment in most cases. If the sport continues to grow the way it has the last few years that could change. But right now there is a big disconnect from what some followers think is happening in sponsorship for elite ultra runners and what is actually happening. Yes runner right now can't be professionals, it's not possible. So that's why outside money must be brought in to give more monetary possibility for runners and a better investment for sponsors. Yes I agree ultra running is at a tipping point and we must makes sure it tips toward a sustainable economic and organizational stability so we can ensure the future of the sport. Once more money comes into the sport representation to ensure fair resolutions between runners and sponsors will fallow. Hopefully one thing will lead to another in the future. 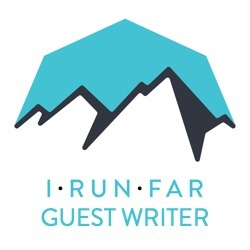 Nice idea but I imagine many amateur runners would run amok if suddenly they weren't able to run Western States, Leadville or Hardrock because it is now exclusively for pros and they are not that way inclined with their running. Moreover, you mention in the beginning that non-running sponsors should fund events and suchlike, as occurs in golf. This I doubt would work, what is the incentive for Ford or ING to sponsor an ultra running event which only reaches a very small audience. It is not going to boost their sales and the overall costs would far outweigh the media exposure. To take the example of golf, the reason why non-sporting company sponsor the events is because golf is the predominent networking activity for high-industry professionals who have a lot of money to spend of relatively frivolous goods which, for the most part, can not be said for the ultra running world. Finally, I think a pro system wherein one can simply apply for a pro-card (as is the case with Ironman) would be better as cutting the bottom 50% every year doesn't allow for much development of brining on the next generation of pro runners. This is especially true for post-collegiate runners who are just adapting to the huge increase in racing distance and need that professional competition for 2-3 years in order to learn the skills needed to succeed and to fully transition to ultra distance running. First off I'm not saying the big races would only have pro fields, they would have both. Second it could bring popularity into the sport like what happened with ironman and also it worked for marathons so why not ultra marathons. All this sport is growing very rapidly and won't be a very small sport for long. Third, development could still happen cause they are not getting cut they are just having to earn it again and also the amatures would be competitive as only the top flight would be able to even qualify for the qualifing. Competition would still be high. It's just like the cycling developmental model. A well written piece on the single most controversial issue in this little world. Certainly takes an 'outsider' in terms of reputation to stake with the first hand knowledge of a life long participant to tackle something this touchy, and plenty of guts too. Organization, governing bodies, rules: To me one of the most attractive aspect of ultra running is the lack of defining rules, a championship anywhere cares about, or a single governing body. A separation of the sport for pros and the sport for everyone else means venues and equipment will also separate. Races wanting to draw attention will follow a format that is most conducive for a few pros to duke it out with maximum media coverage. And if the top categories will do it, those trying to catch up will also follow. Same with equipment. Shoes, hydration gear, the lot will be designed not to work best for the sort of running and racing "normal" ultrarunners do, but specifically designed to shine in championship level events. Exactly how much in common does cross country skiing have with its nordic roots? Or mountain bike races with the values cross country biking once had? Most participants in those sports do not have Olympic aspirations, but show me a ski company that invests any real resources at a ski not designed to win championships. Finally, a single crowning championship. Will it include Hardrock, or Rocky Raccoon, or badwater, or maybe Susitna instead? Each of those represents such a different challenge that at the top level the skills become mutually exclusive. If Ultra running were to have a championship that "defines" the sport at its top level, there will need to a single direction to follow. Would it be mountain running at the exclusion of fast rolling trails, or the opposite? I will argue that there are not enough hours in the day for an elite athlete to train to become one of the strongest mountain runners while also being fast enough on flats to compete with those specialists. The current lack of focus lets ultra running evolve with all its sides, roads, alpine, arctic, desert, and any combination thereof. In my heavily biased opinion ultra running has more in common with alpinism than it does with track and field. Just like standardization and championships have no real meaning in mountain, to me they have no real meaning in a sport about being out in nature for a damn long time. In response to the championship, this is not a nessisary part of this plan it dosnt need to happen. Really all that would be needed was those four big races that sybolize a grand slam, or triple crown, or the majors. Your point about keeping the bare bones of running is defiantly an issue with this plan I laid out. Personally I would like to see the sport I saw growing up, but now it's already at a different point in its development and if the sport wants to have pros it needs to change. It may not be ideal but it's what needs to happen. Adding corporate/special interest money to anything isn't a great regardless of running. If people want money or organize the masses go be an investment banker or politician. What about mental strength and additude ? or experience? or the beauty of the course? or trying a 1st ultra in your community? your gonna turn people away because of that? Then thats not ultra running. People want to enjoy the simplistic genuinity of ultra running. And if I'm not prestigious enough, or don't whore myself to run for money, then too bad, I'm sure there will be another event or new event that will take me with open arms. Everyone wins in ultra running not when the noose of money/sponsership is over your head, but everyone wins in ultra running because the hustle never ends. I'm not saying people who want to go challenge them selve on the hardest biggest races. Every race will have an amatures field. The only change would be the distiction of two sets of people. There is still vast oppritunities to be a runner as a hobby, maybe even a better experience for them as they get all the reasorses of a professional sport. I'm sure the amatures aspect would not go away. Very nice piece LJW. I would never have guessed this was written by a 14 year old. You bring up several interesting points and you can tell you put a lot of thought and passion into your writting. Nice thoughts, Logan. A useful tool for your next foray into societal design would be John Rawls' "veil of ignorance" (easy to find on Wikipedia, fully described in Rawls' book "A Theory of Justice"). Essentially, when proposing a design, you do so with the up front understanding that you can't know where in the system you will fit. That is, design an ultra running system without knowing if you will be fast or slow, runner or crew, athlete or sponsor, etc. Considering what you've proposed, how do you think it would work for faster vs slower runners? Would it benefit you if you were a sponsor or a race director? Would a governing body work for the good of everyone in the sport (benevolent dictator), or would it serve to transfer wealth and enjoyment from the many to the few (common tyranny)? Faster vs slower runners: I think for this it would boost the compitions for fast runners at the pro/am ranks and for slow runners it would give them better reasorses at races from the increase in money in the sport. Benefits for sponsors and R.Ds: for RDS it would help and hurt. It would help by support from the governing body and hurt from the logistical standpoint. For sponsors it would only help as the would have more money to work with and sponsorship will have a bigger role in races with more opportunities to promot and showcase their brands. Governing bodies role: the governing bodies role would be to add stability in the running of the sport and to insure that the sport has a stable economic and sporting future, so I guess b.
I think the biggest fear is that ultrarunning loses those things that are, for many, the bedrock of the sport. What we have here is a very special, embryonic sport, that has managed to retain so much of what of our modern, corporate, neo-liberal lives take from us or severely inhibit. A set of core values that we all cherish and feels so alien, so other, to what the rest of our lives show and tell us. In short these are things like the spirit of co-operation, the close proximity between elite and amateur, the mix of smaller grassroot events put out on little money to large events that still somehow manage to retain the same grassroots feel also….that is, pretty much free from outside influence. The BIG worry, is that once organisations/ huge sponsorships enter the sport this will all quickly be eroded away, isn't this evident in so many other areas of our lives? When large private enterprise and profit seeking takes over any area of public life (business, government, military etc) the results are often at best, poor and at worst, disastrous, for the many who are influenced by them. The additional money will only ever be directed towards the top….that is, the guys running the show looking for $$$ and thats not the runners I mean here, but those who now effectively control the sport…the high end sponsors themselves. Of course, the carrot on the stick will be there for the very few elite who are capable and there will be some $ that trickles down to this small collective also. I guess with regards to the issue, we have to think long and hard about what is worse, running sponsors who have a face to save and an inherent morality that must be aligned with the running community given that is their sole market base (and without us failure is certain)…yet less money, or companies from the outside for who are huge and for whom our sport is small fry. Companies who do not need us in any shape or form and whose ethics and values are very far removed from this community we all profess to love and adore. Right now we are all sailing this ship in some way but to hand the controlling power of the sport to these all for profit companies who have no legacy or interest in the sports past AND future is a dangerous step to take and one we may never recover from if indeed that is the way we go. These companies do not need us but our events could become all too dependent on them, particularly once their prize money becomes the expected by elites and required to put on the new modern version of the event. Its easy to see how this influx of cash to certain events could quickly create monopolies on who turns up. And, as more money in terms of profit is sought by the companies themselves more changes will be made to the sport to achieve this, changes we cannot yet fully predict. The same worry is there for a governing body. To look at just a few potential issues, how many elites would now be turning up at the smaller races with no money and no incentive in terms of ranking or points for example….. and vice versa amateurs making it to the bigger ones? How soon before certain areas of the sport became inaccessible for the vast majority of runners because they didn't hit the right times? How about races not meeting governing board regulations and falling off the face of the map as they become 'worthless' due too their lack of rating. When this happens, when money becomes the driving force of all of this we all share right now, the sport will change finitely. We have the cracks in the wall showing right now as the water slowly begins to trickle on through with prize money been put up for races for example and so far we remain pretty much unchanged. We would be foolish to think that when the wall finally breaks however there will not be massive top to bottom changes for the sport. These will be definitive for our sport given the way it currently looks but the end result will be far more ordinary than many currently think, looking at the race schedule will be a lot like looking out on the highstreet, perhaps the epitome of allowing big business access to independents. Will it change the sport for the better? Well, perhaps for some, for those who wish more than anything to make a lucrative career out of it, but for the rest who get caught in the drag net? Im not so sure. I think the sport is on the cusp of going down the path of transferring power from within to outside as we speak. It will be interesting to see what we have in ten years time and whats left of the old and what the new brings in. Its clear a number of us want and will welcome change and perhaps its inevitable in all sports eventually but we really need to think long and hard about which path we are collectively taking and where it might lead. Right now we are in a place were our collective voices are perhaps going to be most heard as we are still effectively the controlling body of our sport, once this balance shifts however, and it eventually will if we let it, it will be too late for these kinds of discussions. Im just hoping 15/ 20 years from now we arent all sat around talking about how good, friendly and pure the sport USED to be as we sit atop of a corporate enterprise they call ultra-running. your conserns are defiantly real and I wish it wasn't nessasary to change but the truth is it is already changing. With the sky running movement and all this professionalism in Europe I think running has already past the point of no return in regards to corporate entities coming into the sport. So now what is needed in my mind is an adaptation to the sport twords a governing body to create a system to control corporate entities and control the change and put in place ways to limit corporations so they will not completely butcher ultra running. Even right now corporations control everything because the races, no matter how small, depend on money by these corporations which means they can do what they want. Theoretically a sponsor can come in and tell a RD that they must grant them special spots for there runners and block others with the threat of pulling the monetary support. Right now coperations drive the big races and the big races influence all the small races so even though it might not look like it money drives the sport right now. We must relize this and change it asap or the problems you state will happen and no changes will be made. The sport has past a tipping point, we now need to make sure it tips in a way that will be good for the future. Really great questions every body! Keep me coming! One thing I don't think I made clear in the colum was that all pro races would also have amature fields. Even the Pro3 races would have amature fields.